The unit can work with 9" and 5" cartridges. They drop into place quickly and easily, so switching between them won't take long. The 9" cartridge is included in the set. 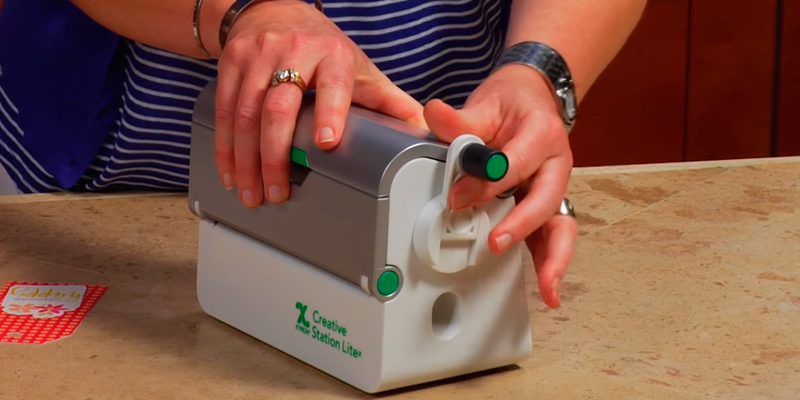 This Xyron Creative Station is a super-versatile unit for different craft projects. It can create stickers and magnets, as well as laminate them. Good for home crafters, teachers, parents, and small business owners alike. 7" x 13.75" x 6"
This sticker maker can use cartridges of two sizes (5" or 3"), which will allow you to spend adhesive more efficiently. Less material waste guaranteed. The instructions aren't very clear. 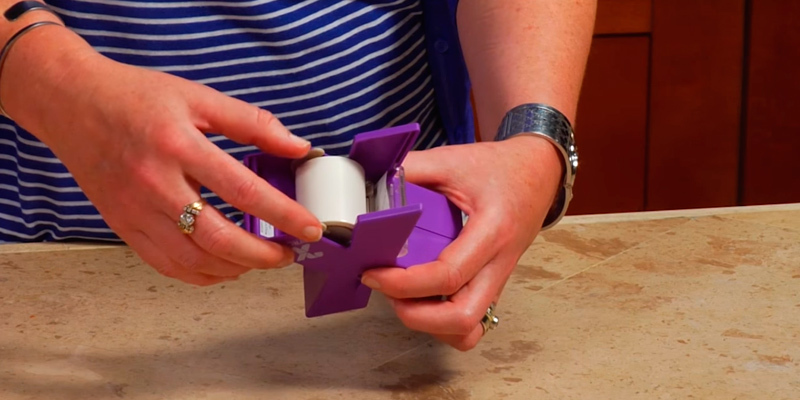 The Xyron 624740 enables you to create with adhesive, protect with laminate, and show off with a magnet. It is the perfect option for someone who needs a lot of options but still wants to save some money. 6" x 9.4" x 5"
The unit is compatible with replaceable cartridges that use either permanent adhesive or repositionable one, which expands the capabilities of the device. It makes a squeaky noise. 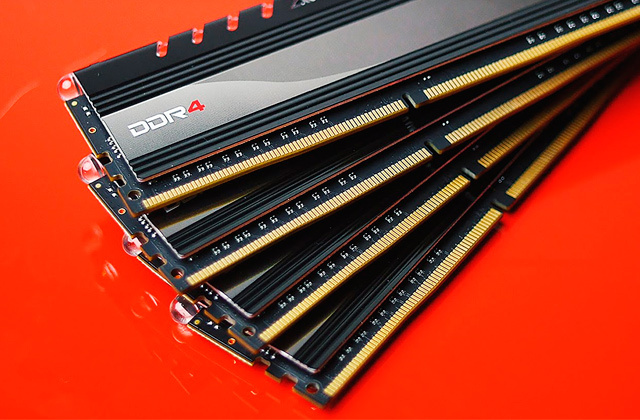 This machine is the most popular model on the market not without a reason. It applies an edge-to-edge adhesive to items up to 5 inches. That's the most popular size for kids' homework, custom greeting cards, photos, and more. 8.38" x 9.38" x 6"
The XRN250-CFTEN create-a-sticker is a golden mean between too large and too small units. It applies adhesive to items up to 2.5 inches wide. The included cartridge is 10 feet only. 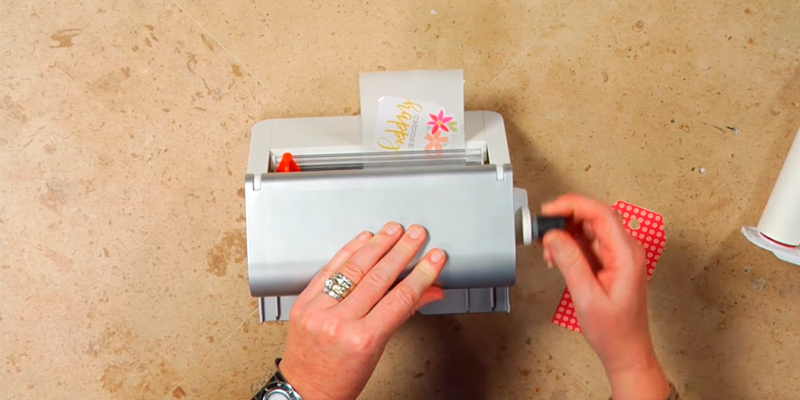 If you're a bit heavy-handed on glue and tired of scraping the residue off your cards, this tiny machine is a good alternative. It's very compact yet effective, and can turn small to medium items into stickers in a matter of seconds. 5.5" x 6.5" x 5.5"
Being extremely compact and lightweight, this device can easily go into your bag or even your pocket, enabling you to make stickers on-the-go. The casing is rather flimsy. 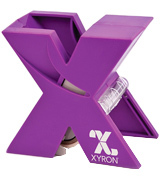 The Xyron XRN150 is an ultra-portable solution allowing you to create stickers just anywhere you want. 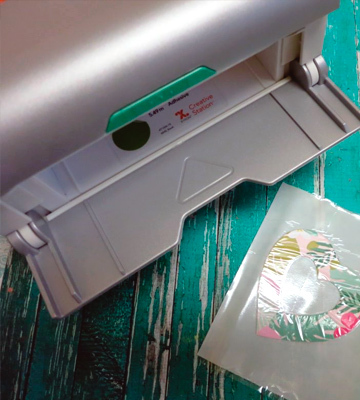 It's a good machine for crafters, parents, teachers, or shop owners who need instant ready-to-apply stickers or labels. The Xyron 624632 isn’t just a simple sticker maker - it’s an all-around professional creative station suitable for arts and crafts projects. 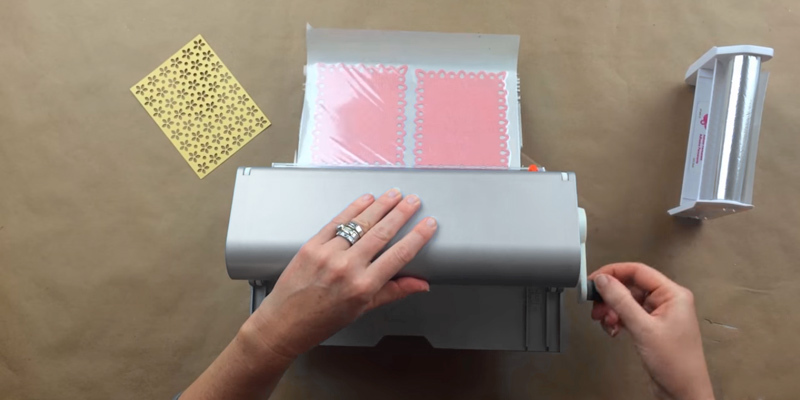 With a laminator, sticker maker, and magnet maker functionality that it deftly combines, the Xyron 624632 is up to any task no matter what it is you're planning to create: stickers, magnets, or laminate some of your projects. Such amazing versatility owes it to the three crafting modes supported and the compatibility of the machine with two different sized cartridges (9" and 5"). The best thing is the Xyron 624632 comes packed with a 25” x 9” permanent adhesive cartridge enabling you to start crafting right after unboxing. If you work with smaller projects you can get a 5” cartridge (laminate/magnet or laminate/adhesive) available for purchase. Switching cartridges is quick and easy, and both of them are non-toxic and acid-free. It's worth pointing out that a magnet cartridge isn’t included in the box; however, if you need it, you can buy it additionally. With such a plethora of features, the Xyron 624632 is petite and very lightweight. Measuring in only 13.8” x 6” x 7” it's perfect for crafters, especially those who'd like to save some usable space on their desktop. And since it has a very small weight - only 4.8 pounds - it's also a go-to option for those who might need to carry a sticker maker with them. Impressive functionality for such a compact device. The next best thing about the Xyron 624632 is that it doesn't use electricity or batteries and consequently produces no heat at all. This gives numerous benefits - 1) the machine doesn’t waste your money on electricity bills, 2) it is completely eco-friendly, and 3) it's totally safe for use by children. You can give it to your kids to let them do their craft projects without needing to worry that they might get burns. 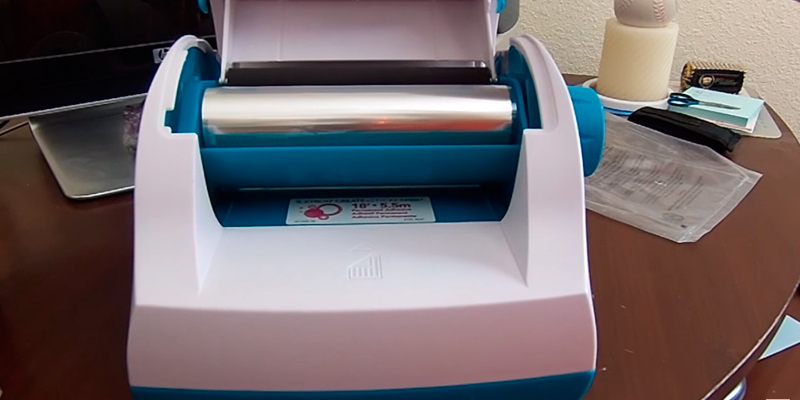 Operating the Xyron 624632 sticker maker requires only engaging a hand crank at the side. However, there might be some difficulties when using the machine for the first time. The unit is not well-balanced as you crank it and you may need to put one hand on top of it to keep it steady while cranking. Other than that, we find no flaws to dislike it. 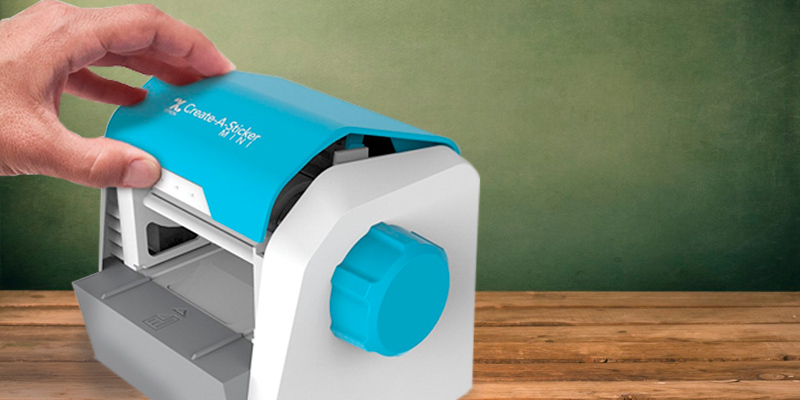 The machine is versatile, environmentally-friendly, and portable, making it a great choice for home crafters, teachers, small business owners, and parents willing to involve their kids in a hobby of crafting. 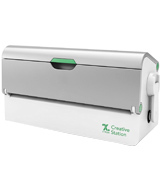 The 624740 Creative Station is another multipurpose machine from Xyron. It can add adhesive, magnet, or lamination to your projects, which makes it ideal for creating various stickers, handmade cards, educational flash cards, wedding invitations, and decor elements for your home, car, or office. For sure, you'll find many uses for this mighty machine. 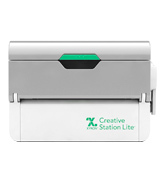 The Xyron creative station accepts two different refill cartridges and comes already preloaded with a 5-inch permanent adhesive cartridge. So, once you take it out of the box, you can immediately give it a try. If you work on small creative projects and want to minimize adhesive waste, you can buy a 3-inch cartridge separately. All Xyron adhesive and laminate cartridges are acid-free and non-toxic, thus, they are safe to use for the whole family. 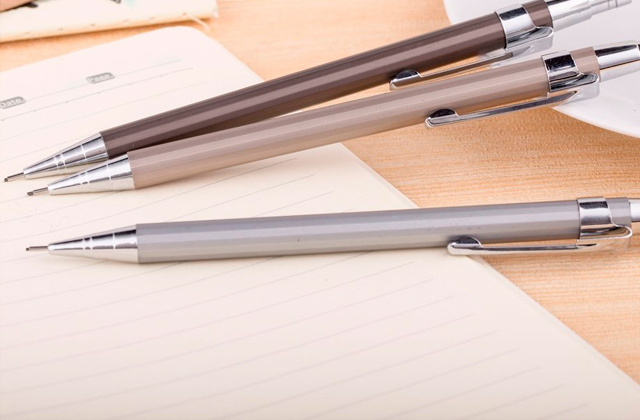 The interchangeable drop-in-refill cartridges are also easy to replace. Each one applies an even coat of adhesive without over spraying. So, whatever you load inside will stay put from corner to corner. And this little guy dries all those items instantly. While some sticker making machines might be fairly complicated to use, this one is effortless. Loading up your projects is very easy - you simply need to feed them into a special slot and then crank it up without waiting for the machine to warm up. The machine requires neither heat nor batteries - just the power of your hands. And no matter how high or low the pressure is, you don't need to worry about bubbles. Aggressive adhesive ensures that laminated items will be trimmed right to the edge, hence, you won't face peeling or lifting. Even children will be able to make some projects using this straightforward creative station. The only thing that slightly sours the impression of this sticker maker is that its crank handle feels rather flimsy. But for the most part, this machine is fairly robust. And its functionality is very promising. 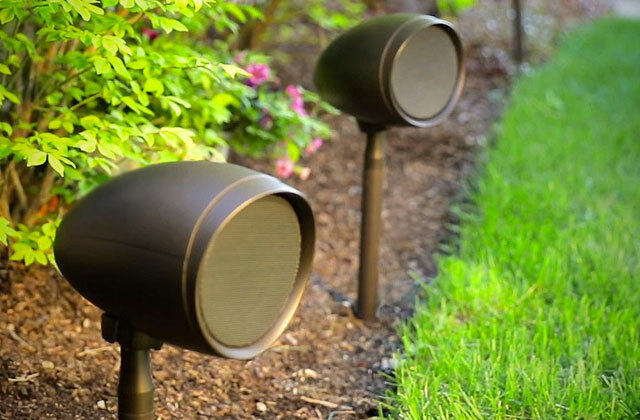 It enables you to create with adhesive, protect with laminate, and show off with a magnet. It is the perfect option for someone who needs a lot of options but still wants to save some money. 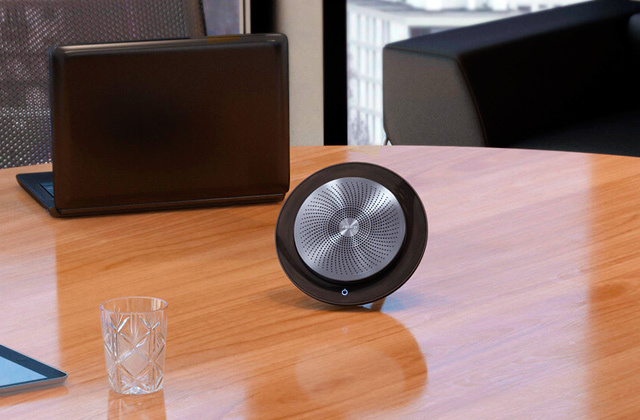 This little thing we have on hands is a real bestseller on the Amazon not without a reason. 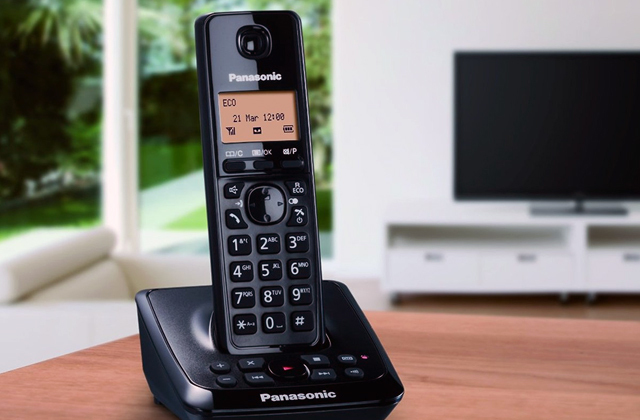 With its compact design, flawless operation, and reasonable price, it truly lives up to the highest ratings and positive reviews. 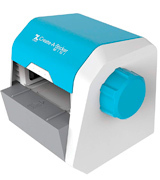 This small machine applies an edge-to-edge adhesive to items up to 5-inches wide, which is considered most popular size according to reviews, and can also add adhesive to paper, photos, ribbons, and other items to help you create unique scrapbook pages, customized greeting cards, various labels, tags, and fun stickers. However, the best part is that cartridges for this machine are available both with permanent and repositionable adhesive so you can choose whichever suits your projects better. Both these types are good and ensure a long-lasting hold, but if you seek more flexibility, repositionable refills will be a better deal, allowing you to reposition your items several times without losing stickiness. While the Xyron XRN500EN has so many positive reviews, it is not without flaws. One of the biggest of them is the annoying creaking noise that it makes while in use. Of course, this sound doesn't reach the level of concerts and you're unlikely to need to use hearing protectors, but the fact remains that it's not totally perfectly and could have some improvement. That said, we do hope this won't be an off-putter for you since the many other included features more than make up for this tiny con. At first, insert an item that you want to turn into a sticker into the slot. It can be anything, as long as it's not wider than 5 inches: a picture, photo, detailed die-cut, label, etc. Next, push this item to the level when you feel some kind of resistance and then turn a knob handle. 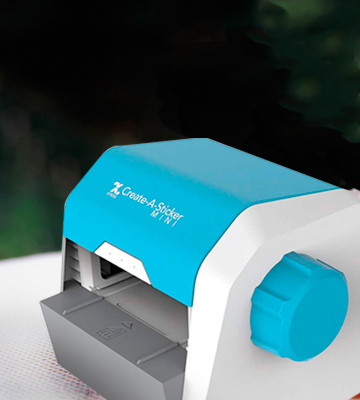 Your item will come out from the other side of the machine with a precise edge-to-edge layer of adhesive. That's all. Now your freshly-made stickers are ready for work. You can apply stickers anywhere you want. The non-toxic adhesive dries in an instant, so your custom cards can immediately go in envelopes or your kids' projects can go in folders. The only problem you might face during sticker creation is running out of adhesive right when pushing a piece through the machine. The machine has a fully closed construction so there's no way of seeing how close you are to the end of cartridge. 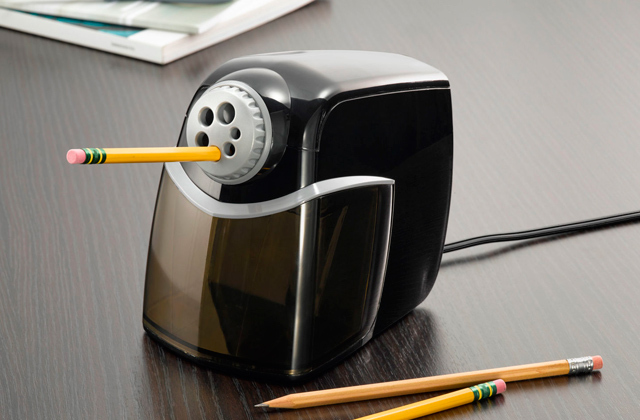 Other than that, it's a perfect machine for those who are tired of scraping excess glue off of their projects. 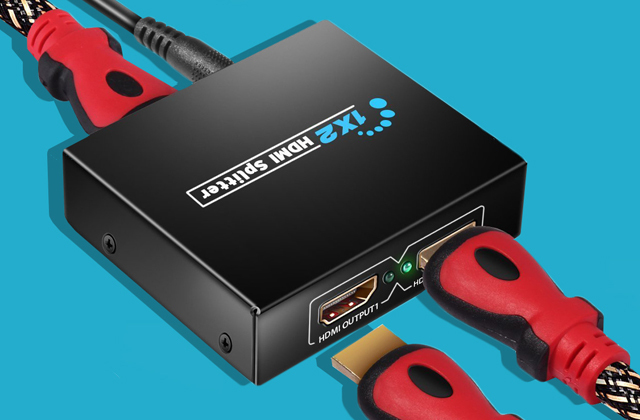 It's very easy to use and its price is ridiculously low. It will definitely bring scrapbooking, card making, and whatever needs gluing up to a whole new level. 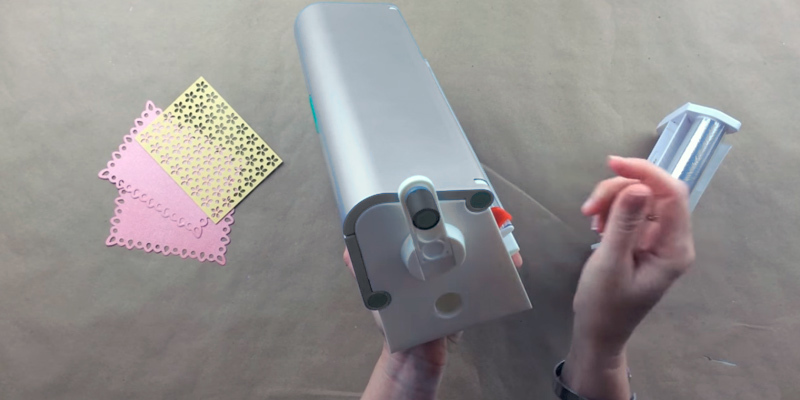 If you're a little heavy-handed on glue sometimes and are tired of having to scrap away the remaining glue off of your craft projects, this portable machine will become a solution. 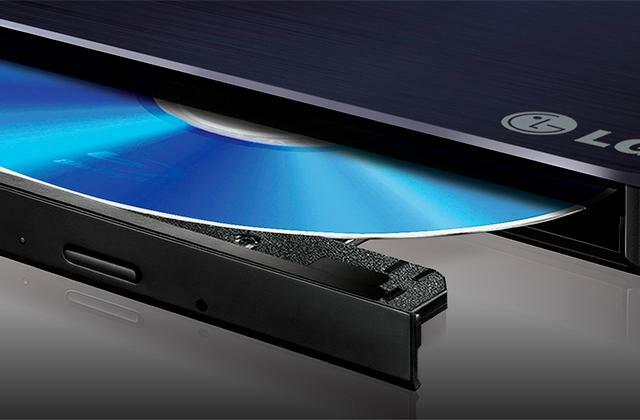 It's capable of turning items you put in its slot into stickers and it uses a very strong and long-lasting adhesive. The XRN250-CFTEN is a golden mean between too tiny and too bulky label makers. Being smaller and narrower than some other models it can add adhesive to items up to 2.5 inches wide. Obviously, this isn't enough for photos but it's more than sufficient for die-cuts, digital drawings, small embellishments, planner stickers, daily journal stickers, laminated things, and other uses. With the XRN250-CFTEN you can make stickers out of just about any shape with no cutting required. And what we particularly liked about this machine is that it's ready to use right out-of-the-box. The XRN250-CFTEN is supplied pre-loaded with a full-size permanent adhesive cartridge. Plus, there's no assembly required, and you won't need to cut through sharp plastic packaging. All you'll really need to do is simply open up a box, feed your items in the slot, and turn the crank. Boom, and here come your stickers with strong adhesive on the back! The only negative is that the sticker maker might move a bit when you're turning the knob so it's best to place it on the craft table with suction cups attached. Place the machine in such a way that you can see the area where your item comes out. Stop cranking as soon as the item has left the machine. If you have multiple items to process, feed them placing very close behind each other, forming a continuous strip. 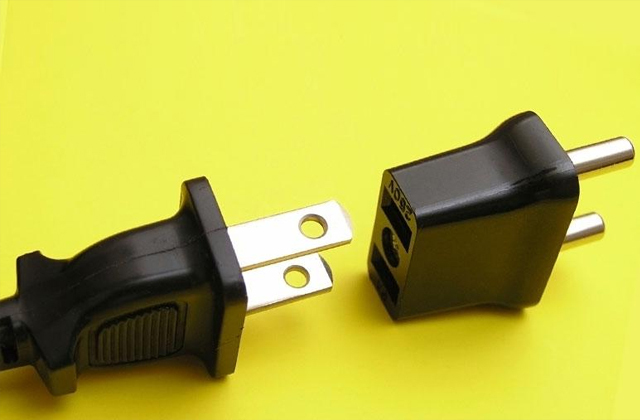 Small or narrow items can be placed side by side and run through the machine this way as well. So, if you're looking for an easy and economical way to create stickers, this Xyron Create-A-Sticker mini machine is a go-to option. It applies adhesive very uniformly to the back of the items with very little fuss. And without the mess with glue! If you go online, you'll be completely devastated by the price going up to $50 for a single roll of 200 custom stickers. 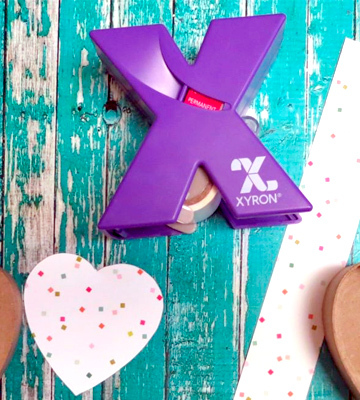 The Xyron Sticker Maker XRN150 is a much cheaper and more fun alternative. For less than $8, this little goodie can do a fantastic job at putting a uniform adhesive coating to your craft projects. 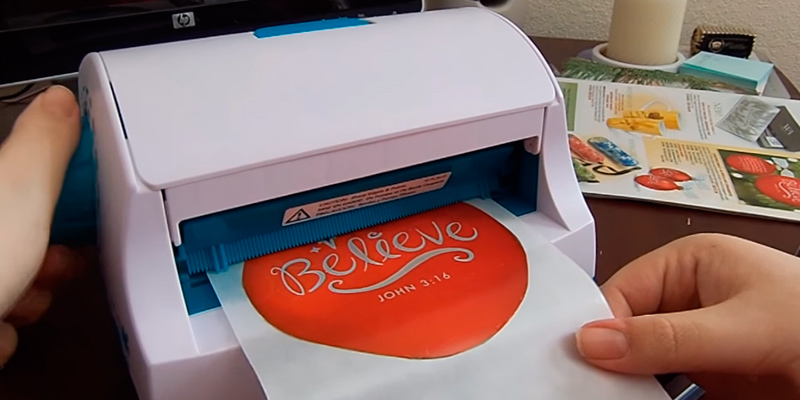 It can help you create your own self-adhesive punch art - mini die-cuts, photo stickers, labels, and more. It's also great for those who would like to turn their little digital drawings into stickers but don't want to order them from the websites that require minimum 100+ items in one order. With this mini machine, you will be able to create when you like and how much you like. The unit comes with a generous 20-foot cartridge that applies an acid-free adhesive to items up to 1.5-inches wide. If needed, you can fit even smaller pieces into this machine and everything will be super sticky. The operation is simple and intuitive - just feed the soon-to-be sticker facing side-up into the top of the machine, and pull on the adhesive strip. You don't even need to turn the knob or something like that. The machine just “pulls” the item and sandwiches it in-between the adhesive strip and cellophane layer. 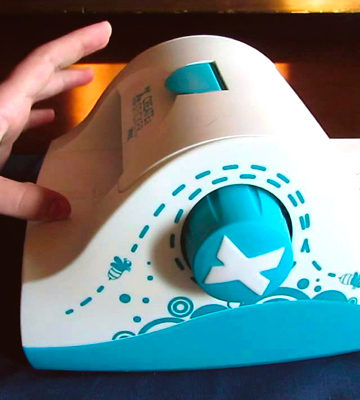 As you've probably guessed, this sticker maker is very, very small! It's so small it can easily go into your pocket or purse, enabling you to create stickers on the go. With that, it's of the right size, allowing you to use it for making labels for your products both at home and in a small shop. Despite being that small, this little genius can save you the trouble of having to search for suitable stickers for your delicacies and goodies somewhere else. With the help of this device, you can create your own labels and get the exact stickers you want. Also you can use it for making small embellishments such as sequins, enamel dots, and die cuts that are very trendy today. All in all, though the Xyron XRN150 doesn't quite compare with bigger models and might lack sturdiness, it's still a great choice for light-duty jobs. 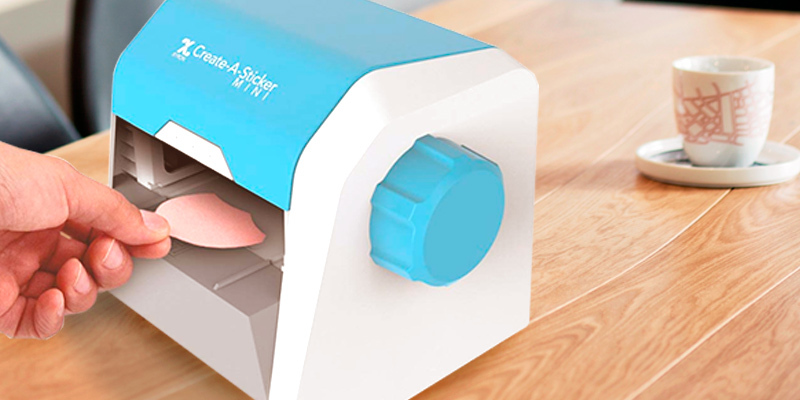 So if you're interested in a budget-friendly yet functional sticker making machine suitable for making stickers at home and on the go, you should definitely love this model. What Is a Sticker Maker? A sticker maker is like a magic device, capable of turning a simple piece of paper into a work of art. It applies an adhesive on the back of soon-to-be stickers very evenly and precisely, from edge to edge. To create a sticker, you just need to put the item into a special slot and then turn the machine’s handle. That's it! Even kids interested in crafts will be able to use this type of machine for turning virtually anything into stickers. Crafting machines can also be very beneficial for small business owners and anybody else involved in arts and crafts ventures. 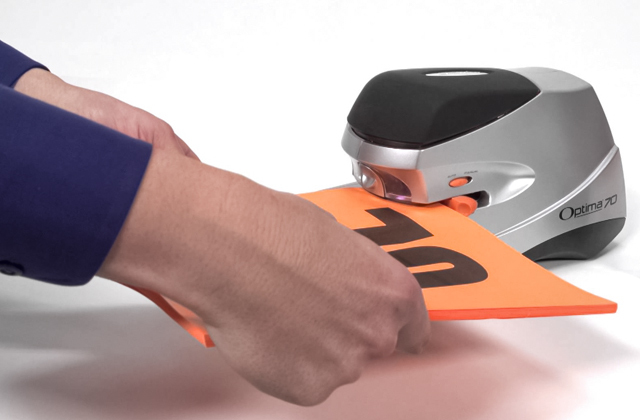 By using a sticker machine, they will be able to simplify the process of making labels. And since some sophisticated machines offer the functionality of laminating and adding a magnetic tape to the end product, business owners will also have a chance to laminate things as well as make colorful magnets. Needless to say sticker makers can also be useful to parents, teachers, and everyone involved in crafts. There are lots of things to love about crafting machines. So, get one and don't limit yourself in your creativity. A scrapbooking machine or a craft table can become one more wonderful addition to your craft area. Hand-powered models are more common since they are cheaper and safer to use, even though they are slightly slower in operation compared to their electric rivals. 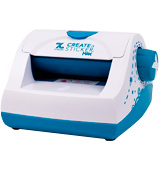 These sticker making machines deliver as good results as electric models, but, unlike them, they do not tend to get hot, which makes them very kid-friendly: you can give it to your child and worry not that your son or daughter might have troubles with it. As opposed to hand-powered models, mains-powered sticker makers are more functional, and their printing speed is much quicker. 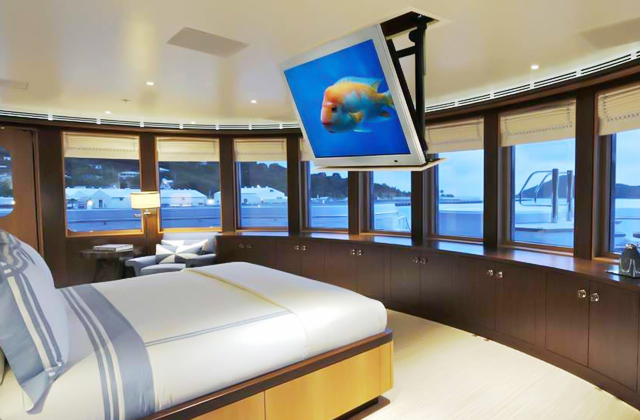 They are able to make stickers of different shapes, operate automatically, and require almost no supervision at all, making them an appropriate choice for commercial or semi-commercial use. Which type of the two to choose totally depends on what you plan to do with a sticker maker. 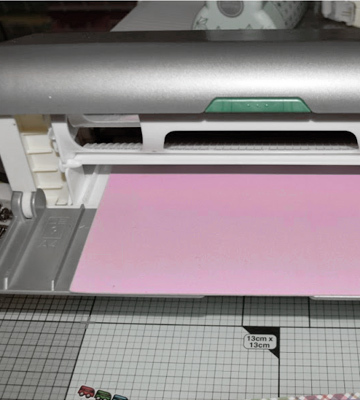 If you need a simple device for creating mainly scrapbook pages, there might be little sense to pay extra for a sophisticated electric machine. Basically, sticker machines are compatible with one or two types of adhesives - a repositionable adhesive or a permanent one. Here, you should consider the nature of your projects. For example, if you know that your stickers are likely to be moved a lot, you need a device that uses a repositionable adhesive. But, if you are sure that your masterpieces will be stuck for centuries, go for a permanent adhesive: it's stronger and more reliable. As a nice bonus, many sticker machines come already pre-loaded with a permanent adhesive cartridge. Hence, you can start creating stickers right after delivery. The length and the width of the machine define the size of items it's able to process. The bigger the device is, the larger stickers it can produce. So, if you intend to get bigger-than-average stickers, you will need quite a big machine. Small and medium models are ideal for standard stickers. You can also find pocket-sized machines designed for creating stickers on-the-go. 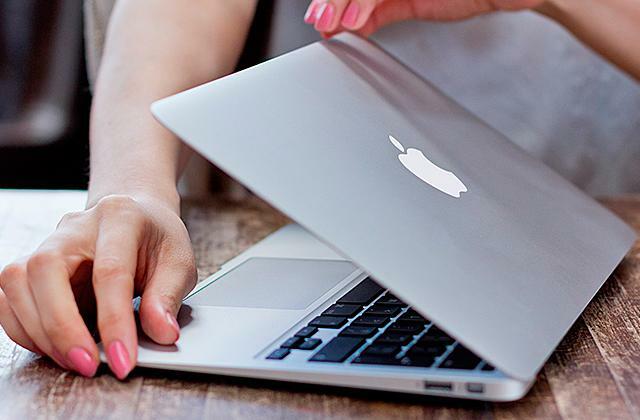 Naturally, if you're going to carry the device with you or move it from one point to another frequently, consider purchasing a smaller machine. But in case you plan to do serious projects and keep the creative station in one place, it's better to opt for a sizable one (stationary). The last but not the least thing to consider is extra features a sticker maker provides. As we have already mentioned, some creative stations can not only apply adhesive but also add laminate or magnet to items. Such machines can give a professional touch and long-lasting results to all your craft projects. And if you're not sure about the scale of your projects, take a closer look at those versatile devices that can accept cartridges of various sizes. They produce less waste and are more cost-efficient accordingly. The history of stickers that are relatively close to modern stickers began in 1840. That was the year when two-sided postage stamps were created in the UK. The back side of those stamps had a dry adhesive that had to be slightly moistened to become sticky. Of course, people used to stick paper to objects before 1840 but they utilized glue instead. The stickers we know today appeared in 1935. R Stanton Avery from Oklahoma created the first label with self-adhesive and a peel-off backing. Since 1935, only the design and surface undergo some changes. It's not surprising that R Stanton Avery also founded one of the most successful label companies in the US, the Avery company. Many American teachers have a habit of rewarding pupils with stickers. They believe that a child will be more self-motivated and driven. Stickers are also widely used to identify different cult groups. Members of those groups usually put symbolic stickers on their books, cars, or clothes. So, it’s better to research the meaning of weird stickers before purchasing them. Recently, the Australian Road Safety Foundation produced life-saving stickers and asked people living in residential areas to attach stickers to their outdoor trash bins. The stickers called drivers to be extremely careful on the city roads. Unbelievable but fact! Little labels on almost any piece of fruit are edible and the glue is regulated by the FDA. However, washing them prior to eating is recommended. Both fruits and stickers! Technology doesn’t stand still and now there’s a high-tech alternative to labels. A laser that can add the necessary PLU info right to fruit by zapping the pigment out of its top layer was created in Florida. China farmers use another technology - they affix specially shaped stickers to young fruit and take them off as soon as the fruit has grown. The symbols or texts are remained. Currently, an inventor from New York is working on creating a label that dissolves in water and then wisely turns into a fruit wash.
5-digit codes on labels which start with 9 stand for organics. 5-digit codes beginning with 8 are GMOs. 4-digit codes are given to fruits that were conventionally grown. Also, it’s worth noting that the codes are fixed all over the country. No matter where you go, the digits on a specific fruit will be the same. Surprisingly, a Japanese mobile messaging company, Line, get even more profit from selling stickers rather than selling their apps for Android and iOS users. It makes incredible $268 million on stickers per year. The famous “I Voted!" stickers have become synonymous with Election Day in the USA. The thing is that people get those stickers as soon as they have performed their patriotic duty. “I Voted!" sticker displays their political engagement and most American people wear them proudly. The sticker appeared in 1985 and since then it's been very popular in most states. Ohio government even launched an online election to decide on the new design of the sticker. Now Ohio citizens proudly wear "I (shape of Ohio) Voting! ".